Awww, who can turn away a cute little creature with such an adorable little face? And the dog’s not too ugly, either. The strange thing is, it never got a release date in the US, so it’s not very well known, apparently. I won’t tell too much about the plot, but the movie is quality. It’s based on a true story of a very faithful dog. And yes, it’s a bit emotional. To call this a “tearjerker” is not quite correct. Hachi will jerk tears out of you, sure. But Hachi will also haunt your emotions. Hachi will punch your heart in the balls. 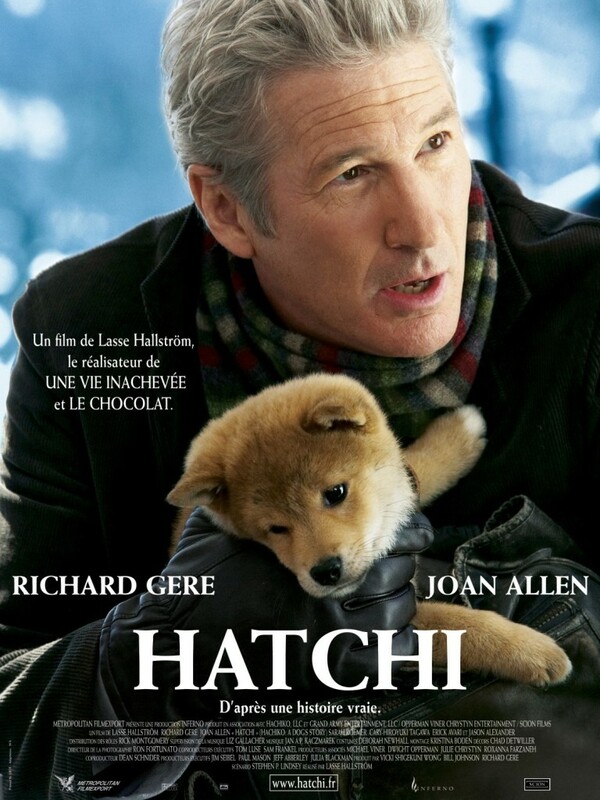 Hachi will grab your tear tear ducts, hold a gun to their heads, and blindfold them in the bank safe, holding them hostage until the police meet its demands –namely: a helicopter; a million dollars in unmarked, nonconsecutive bills; and a single tear to trickle down every viewer’s cheek. And strangely enough, there was indeed a single tear that rolled down my cheek as I watched the end of this touching movie. I might have even had a second tear in me, but I was distracted since I had to attend to my bawling wife. But I can now say that I have indeed cried for a movie. Oh, what do we have here? A faithful old dog waiting in the snow for his master? Uh oh, here we go! Anyhow, I’d give this movie a 15/17. It’s very good, and the dog will charm your pants off and put them on your head, but now that I’ve seen it, any subsequent viewings would be spent trying to avoid the emotional build-up to the end. That just seems exhausting, and worth about 2 points on a 17-point scale. 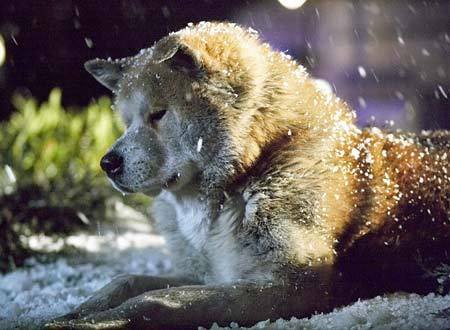 This entry was posted in Movie, Review, Ryan, Sitzman and tagged A Dog's Tale, Cry, Emotional, Hachi, Hachiko, Hatchi, Movie, Review, Ryan, Sitzman, Tear, Tearjerker by Ryan. Bookmark the permalink. Good to see your heart isn’t as black and shriveled as I previously thought. I did notice the qualifier, though… I guess it’s still black and shriveled, but it’s more of a prune than a raisin. I’ve wanted to watch this but feel I will be a wreck for weeks afterwards. When I read Stone Fox as a kid, I was DEVASTATED when the Doug’s heart burst 10 feet before the finish line. Show me hordes of people getting killed in horrifying ways and I’m fine, but show a dog die of natural causes and I’m balling. Glad to hear you shed a tear, you heartless fiend. 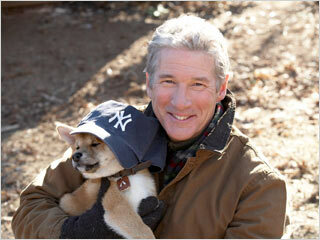 Love to watch this for the cute pooch but I can’t stand that mug, Richard Gere. I remember getting choked up about a Futurama episode involving a faithful dog from the past. Funny post. Thanks for the link. Hey Mike! Actually, I know what Futurama post you’re talking about, and from what I’ve heard, it’s actually based on the story of the real Hachi!